Home / How-To Videos / How-to: Build A Slosh Pipe! How-to: Build A Slosh Pipe! 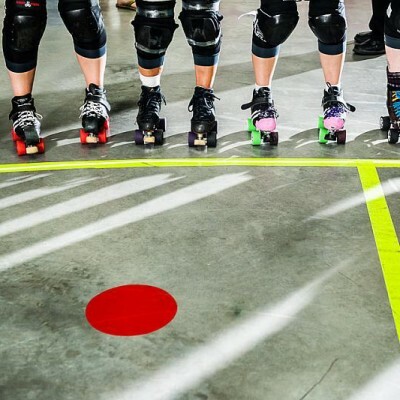 Stability Training for roller derby is really really important. I talk all about that in my recent Stability Pre-Hab Video, which you should definitely check out! In it, I use a cool, low-tech hack called a slosh pipe. Although that sounds like some kind of college binge-drinking apparatus, it is essentially a length of plastic piping, capped at both ends, with water inside. When you move it around, the water sloshes according to gravity, and creates a dynamic load for you to resist. If you intend to store your slosh pipe in your garage or outdoors in a climate that has winter… ADD ANTIFREEZE to your water! This will change the weight ratio a little because antifreeze is not as dense as water. But it will prevent your pipe from cracking! You may also want to add a splash of bleach to your water if you plan to store it with water as well, to prevent any goo from growing inside. I hope you dig this DIY project and it’s not too intimidating. 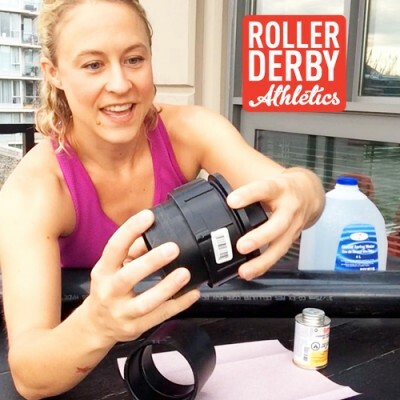 It’s really super easy and it’s a worthwhile tool to have in your arsenal for improving your stability and proprioception for roller derby. PS – please comment below if you have any questions about this DIY! If you are going to store it with water you may want a capful of bleach so it doesn’t stagnate also. Great idea Jimmie – I have edited the post with that helpful suggestion! Thanks! Probably don’t mix bleach and antifreeze, though. Not a chemist, but some googling suggests it nullifies the antifreeze and creates flammable gas. It also corrodes metal, but that doesn’t seem relevant here. Haha! Yes – Also a good point! I generally avoid mixing bleach with anything… no one likes a little unexpected chlorine gas!